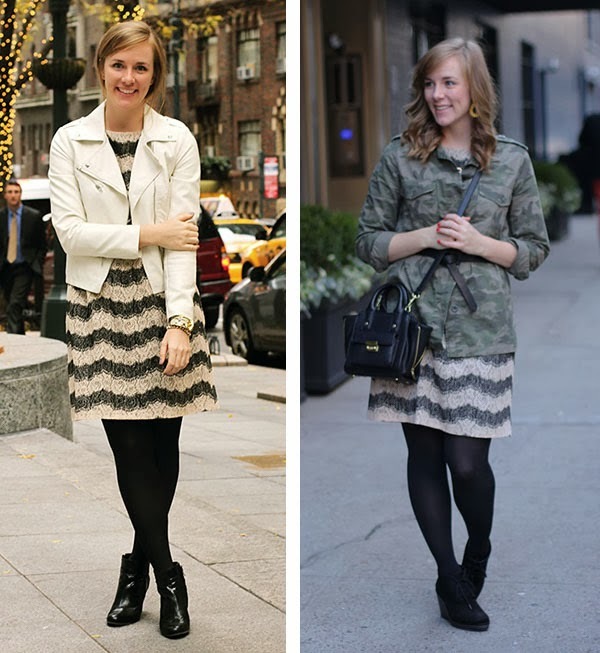 Today I'm showing you how I styled my Ivy + Blu striped lace dress for work and for play. You already caught the play post here in the North v. South collab and below is how I wore it to work. These pics were definitely taken a couple of weeks ago when a) my hair was long and b) before we had the massive nor'easter and sub zero temps yesterday. A little leather and some booties make this super feminine dress a little edgier for the office. P.S. Have you entered my giveaway with Enterprise Car Share yet?? So cute! Love both ways you styled it!